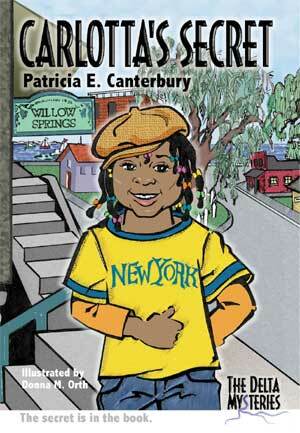 Carlotta's Secret introduces the reader to the small fictionalized town of Willow Springs, California, and to Carlotta Stevens, a newly transplanted New Yorker, her mother and father and the six neighborhood friends who call themselves the Webster Street Gang. In the first novel we also meet Miss Simon, a woman with an unusual past who also plays a part in some of the future novels. Enjoy this preview of Chapter 1 below. Monroe Jones, who call themselves the Webster Street Gang, a name they chose after seeing a Disney Movie, were making me prove that I was one of them. They thought that adding "Gang" to their name made them seem tough and strong when they played baseball. They're really good. I think that they could beat the Regional Champions. For the past six years, kids from a tiny school in Galt, California, have beat the stuffings out of the Webster Street Gang and every other baseball team from Willow Springs. But that was before I came to town. Ever since my parents moved to Willow Springs four weeks ago, I'd been trying to make friends. Willow Springs is a real nice, quiet delta town. I never knew there were so many pears as there are growing around Willow Springs. Anyway, I was telling you about standing in front of Miss Simon's door. Miss Simon's backyard is next to the vacant lot where I play baseball with my new friends. But to continue with the information about the Webster Street Gang. They stood on Miss Simon's lawn staring at me, waiting for me to make up my mind. Usually I'm a pretty outgoing kid. Usually I can make up my mind awfully fast. I had to in New York 'cuz while you're standing on the platform deciding which subway train to take, the right one would have come and gone and left you standing there stranded. I'm pretty smart, too, according to my folks and teachers. But I could tell from smiles on the Webster Street Gang's faces that I still had to prove myself to them. Not all of the kids in Willow Springs were making me prove myself, just the six that lived on my street. I don't know what they expected of me. Just because I'm from New York it doesn't make me a monster or anything. Luckily Margo, the only other girl in the Webster Street Gang, was really fun and was the first to invite me to join. I hope that now that you've read the first chapter you want to learn about Carlotta's Secret and the further adventures of the Webster Street Gang. It's right on the banks of the Sacramento River. At first I didn't think that I would like it here 'cuz I'm from New York City. New York's really busy and filled with lots of people. Here in Willow Springs, you can walk down blocks and blocks of tree-shaded streets and hardly see anyone but retired people sitting on their porches or walking their dogs. I'm used to subways and taxis and I hardly ever walked anyplace in New York. I walk everywhere here in Willow Springs. I'm learning to like walking. Willow Springs' population is barely 3,000. There must have been almost 3,000 kids just in my elementary school in New York. Still Willow Springs has its own charm, as Mom tells Aunt Alicia when they talk on the telephone every day. Willow Springs is close to Sacramento, California's state capital. Mom and Dad can drive to Sacramento in less than a half hour if they take the freeway. It takes longer if they use the levee road. The levee road is a crooked, narrow road that runs along the side of the Sacramento River between the river to the west and the pear farms to the east.